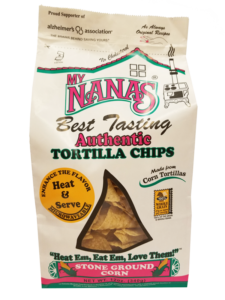 My Nana’s “Best Tasting” Tortilla Chips are made from whole kernel white corn that is stone ground and made into corn tortillas that are then cut and fried to perfection. They are thin, crispy and lightly salted. These are the same tortilla chips that are proudly served in many of Arizona’s restaurants. 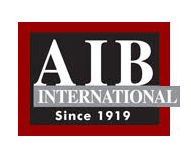 Heat & Serve to enhance the flavor. Available in 12 oz or 2 lb bags in the bakery department of your favorite grocery store. 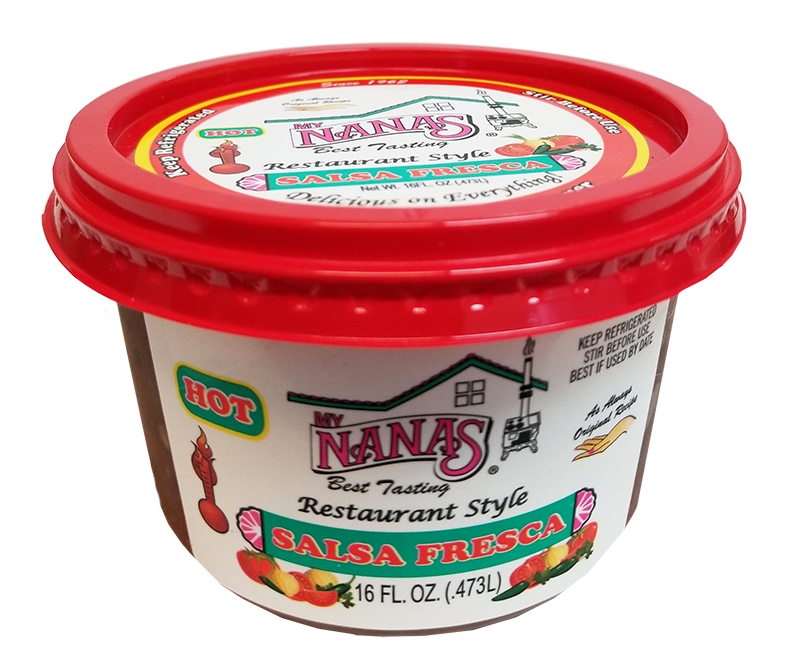 My Nana’s Best Tasting “Traditional” Hot Sauce is an Authentic blend of Mexican spices, tomato sauce and tomato paste, Traditionally used as a dipping sauce or taco sauce. Available in a 16 oz container in the fresh deli section at your local grocery store. 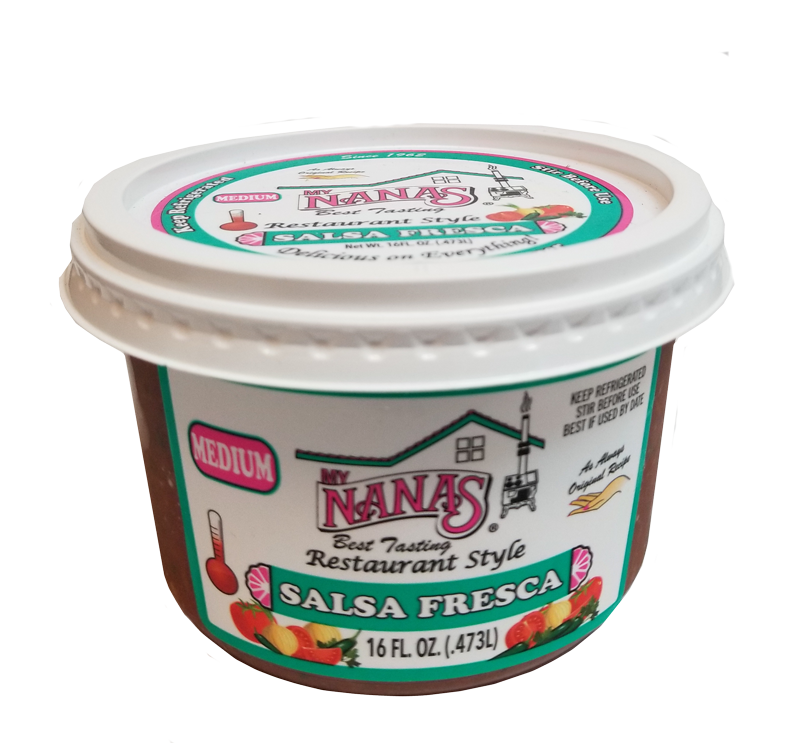 My Nana’s Best Tasting “Restaurant Style” Salsa Fresca is a chunky like texture, made with tomatoes, cilantro, onions and Authentic Mexican spices to give it an authentic flavor, like Restaurants. Available in a 16 oz container in the fresh deli section at your local grocery store. 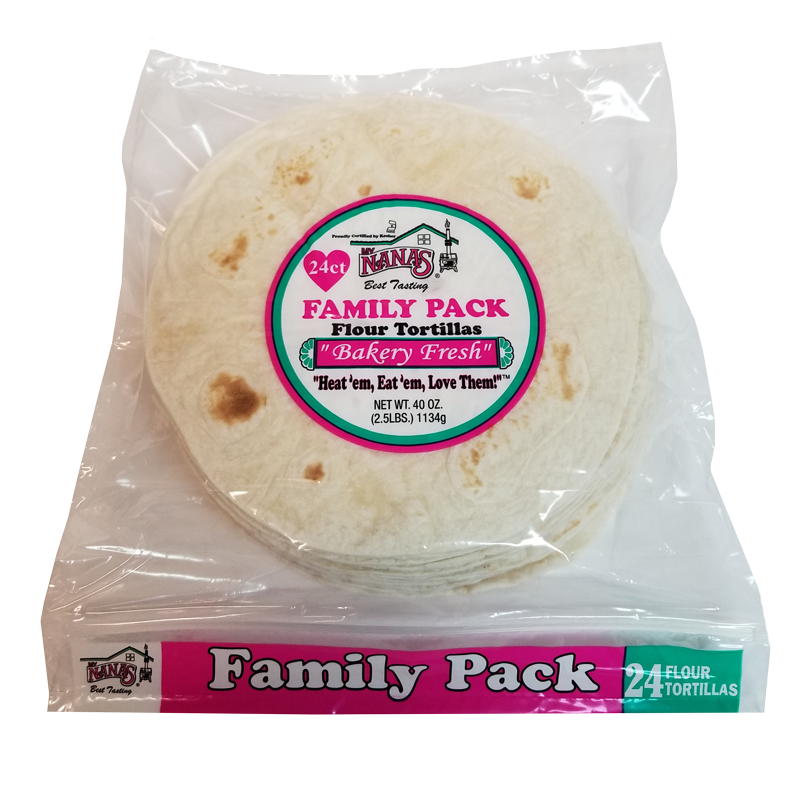 My Nana’s “Best Tasting” has launched a full line of “Bakery Fresh” Flour Tortillas. Our flour tortilla Sizes range from a 6 inch fajita to a 12 inch Burrito Grande size for the hearty appetite. Available in the bakery department of your local grocery store. 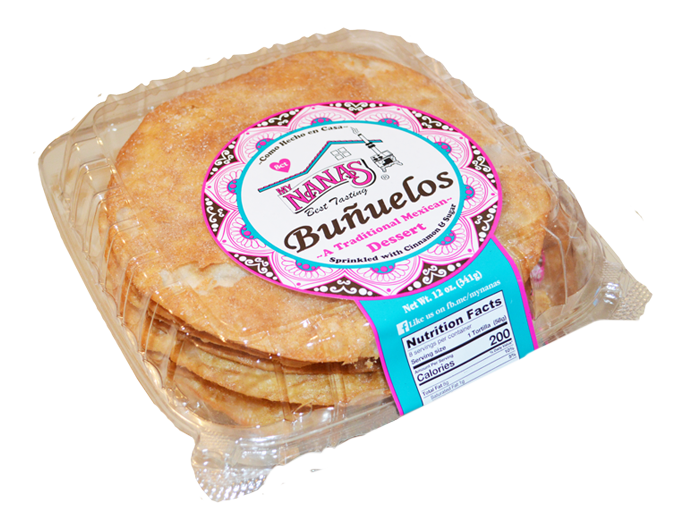 My Nana’s Uncooked Flour Tortillas are “Easy to Cook” in your kitchen.The fresh cooked aroma and authentic homemade taste will start a new tradition in your home. Learn how easy it is to prepare. Available in the refrigerated cheese section at your local grocery store. A Traditional Mexican Dessert and symbolic of Good LUCK! 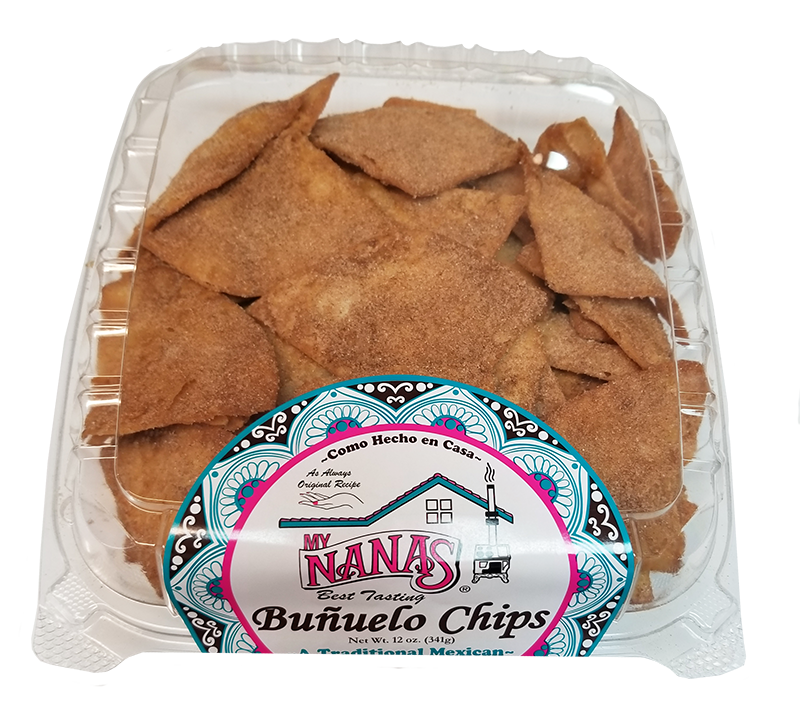 Let My Nana’s satisfy your sweet tooth with our New “Best Tasting” deep fried flour fritter Sprinkled with Cinnamon & Sugar. Top with warm honey or your favorite ice cream!